Google launched an app called Tez in India. 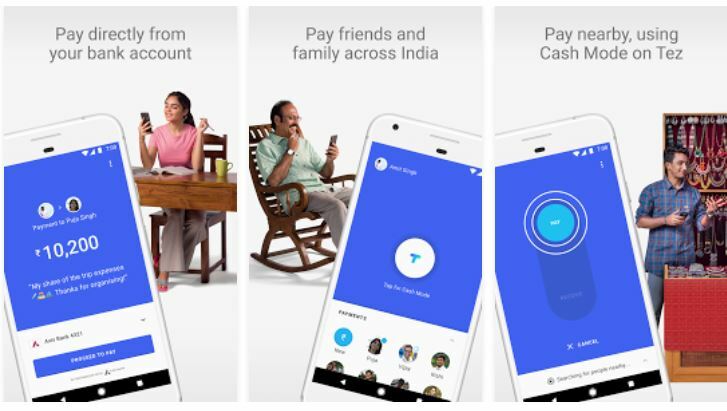 This is a Payment App and with it, Google joins India’s growing e-payment market which is currently ruled by the likes of BHIM, Paytm, Freecharge and PhonePe. Although it might be tempting to say that the Tez is yet another payment app at a time when so many companies, as well as government organisations, are trying to ride the cashless wave, it is special. No speciality is not exactly in its functionality. It has some unique features but then all Payment Apps have that unique edge. The big deal with the Tez is that it is a Google app and it has the full force of Google’s money and resources behind it. ZPay and set reminders for recurring bills such as DTH. Get Tez Scratch Cards (TM) in the app and be eligible to win up to ₹1,000 with each eligible transaction. Plus, your weekly transactions enrol you in Tez’s Lucky Sundays contest where you could win ₹1 lakh every week. Transactions must be ₹50 or more per user. See full Tez Offers Terms and Conditions for all details. Tez makes it faster and more secure to pay for apps and websites – anywhere UPI is accepted. When you checkout, look for the Tez logo or use your Tez UPI ID. You can download the Google Tez Payment app on your Windows 7, 10 or Mac PC.